Provence: Is there Life Beyond Rosé? Provence is all about rosé. In fact, rosé makes up 90% of Provence’s total wine production. Not surprising, the economics of rosé are very important. As a wine largely made and sold within the same year, rosé is extremely attractive to producers, especially when the financial outlook is uncertain. Join us as Elizabeth Gabay shares her insights into the economics of Provence’s wine region. With a degree in history and a Master of Wine, and many years working in the commercial wine world and writing about modern wine regions, Elizabeth Gabay’s main interests rest with a combination of history and wine. In particular, she focuses on the cultural history behind the styles of wine we drink today, the evolution of traditions, the invasion of the modern world and the disappearance of an alcoholic heritage. Gabay has been in the wine trade in one form or another since 1986, a Master of Wine since 1998 and has lived in southeast France since 2002. She now writes and consults in the wine regions of Provence, across northern Italy, Austria to Hungary. She first started working with wine in southeastern France in 1986, with several vineyards in the region. Provençal wine was quite different at the time, with many vineyards making old-fashioned, ‘rustic’ wines. From 1996, with the birth of her first child, to 2002 when she moved to the region, her knowledge focused on what was available in the UK market. She is a judge at Decanter’s annual World Wine Awards for Decanter, and has judged at many other competitions, including Hungary's VinAgora, the Mondial de Rosé and for the Guide de Vins de Provence. Gabay has written for a number of years the Provence section for the winetravelguides.com; she edits and updates the Provence and Corsica section for Oz Clarke’s annual pocket guide and has edited and updated the Provence section of Jancis Robinson’s World Atlas of Wine 2013 edition. 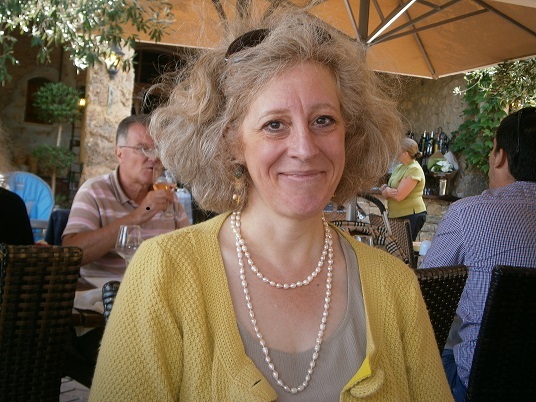 She has also written articles on wine topics including Provence, Hungary and northern Italy for magazines and have written a research paper on the history of the wines in the Alpes Maritimes for an historical wine conference in Italy 2011 (published 2012). Her other main topic of interest is in the history of the drink punch. She is writing a book on this, has presented papers at conferences and given presentations at museums. Acquire a profound knowledge of Provence with the Provence Master-Level program and Provence Study Wine Tour.